Take lessons to learn how to dance for one of the most important days of your life! Learn a choreographed routine with your wedding song. We can create a classic wedding dance or a hip and funky dance, whatever you desire, we create a dance just for you! A four lesson package is $250. All lessons are private and group lessons are not required. We recommend starting your lessons 6-8 weeks prior to your wedding date. We can also do wedding party dances. 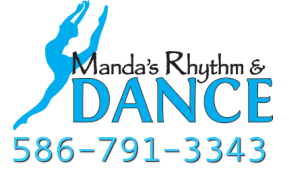 Call to schedule your wedding dance at 586-791-3343, or email msmaria@mandasdance.com. See our profile and reviews on The Knot.